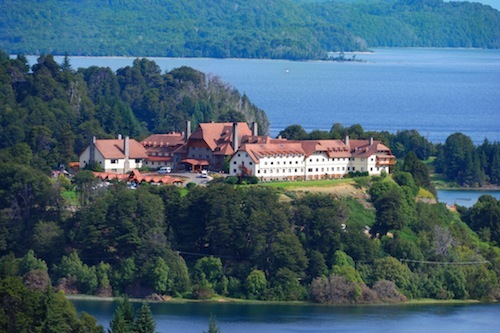 Llao Llao hotel lies 25km west of San Carlos de Bariloche in Southern Argentina. It was originally built in 1934 at the edge of a national park. It is on a spectacular setting on a ridge surrounded by lakes with the snow-capped Andes Mountain range in the background. It is an all season resort serving skiers in the winter and hikers and golfers in the summer. It is also situated right next to the starting point of the “Cruce del Lagos”, the boat journey which runs from Bariloche to the Chilean border, and from there to Osorno and Puerto Montt. 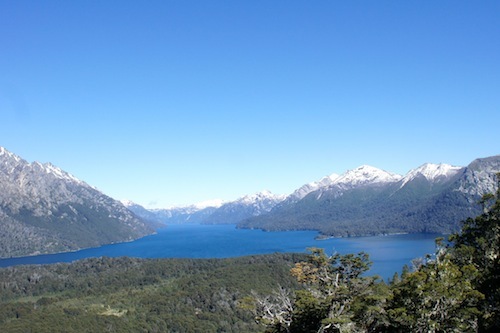 If you arrive by boat from Chile it is best to stay in Llao Llao and avoid the town of Bariloche which feels run down and busy. 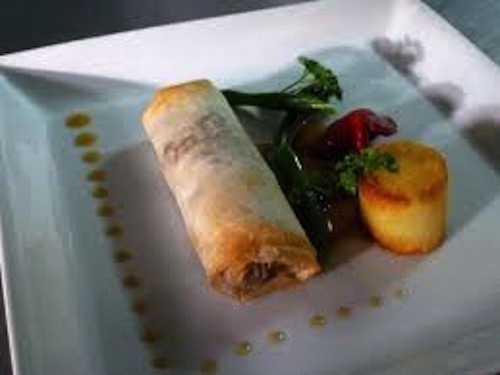 Besides outdoor activities, the culinary scene is highly developed. Patagonian wines are a pleasant surprise: the comparatively cool climate in Neuquen region just north of Bariloche makes it stand out amongst Argentine wine regions, whose style generally reflects the warmer, drier climates of the north. We drank an excellent Pinot Noir from Bodega del fin del Mundo, and overall we find Neuquen reds less harsh and alcoholic than the traditional Mendoza wines. 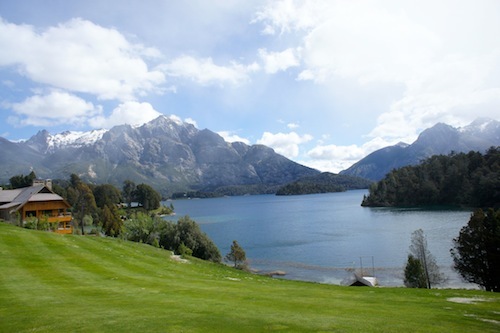 One of the best restaurants in Bariloche and probably in Argentina is Cassis which is located 15 minutes away from the hotel. The food is an innovative blend of French and Argentine cuisine all based on fresh ingredients and exquisitely presented. Another excellent restaurant located close to the Llao Llao is Il Gabbiano, an Italian restaurant set inside a bungalow that has a Mediterranean feel, with brick, iron, and stonework reminiscent of a countryside farmhouse. The menu is authentic Italian, and the wine cellar has more than 250 labels.